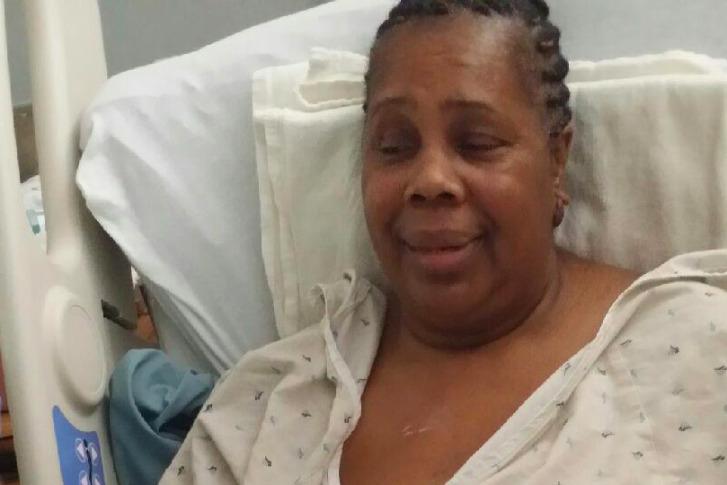 A D.C. woman was attacked by two dogs while she walking with her grandson Monday. The boy was unhurt but his grandmother remained in the hospital Tuesday. WASHINGTON — A 60-year-old woman remained hospitalized Tuesday following five hours of surgery after she was attacked by two dogs on her Northeast D.C. street. The Washington Humane Society says the dogs’ owner agreed to allow the animals to be euthanized so that they could be tested for rabies. The dogs were likely a mixed breed, according to the society, which acts as the District’s animal law enforcement agency. D.C. police had previously described the dogs that attacked Annie Petty as pit bulls and said that their owner has been cited for having unleashed dogs. “They just had their way with her. She’s missing half of her finger. Both of her arms have chunks out of them, both of her legs have chunks out of each leg,” says Petty’s daughter, Alecia Petty. Annie Petty and her 9-year-old grandson Calvin Wyatt were on a walk Monday evening when the dogs attacked in the 3900 block of Ames Street NE. Alecia Petty says the dogs bolted from their yard and went first for her son. “That’s when they tried to attack him. But she blocked it, ” Petty says of her mother. Although the boy was unhurt, his mother says he’s been traumatized by the attack. “He’s still terrified. Ever since it’s happened, he’s just been crying,” Petty says. Petty says her mom remains in a great deal of pain. Neighbors says they were frightened by the attack. The attack remains under investigation by the humane society officers.